Mel worked hard to perfect her recipe, and the cookies are truly wonderful. Soft and chewy, which is my favorite cookie texture, with the crunch of macadamia nuts and the complimentary sweetness of white chocolate. Cookie perfection. In a large bowl, beat together the butter, granulated sugar and brown sugar with a handheld mixer (or in the bowl of a stand mixer) until the mixture is well-combined. Add the vanilla and eggs and beat until the mixture is creamy and light in color, 2-3 minutes. 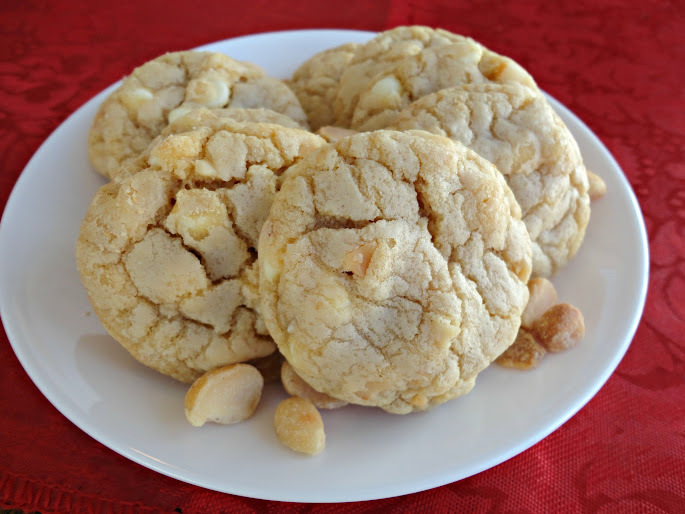 Beat in the salt and baking soda until incorporated, then stir in the flour until just combined; a few streaks of flour are OK. Add the white chocolate chips and macadamia nuts and mix until combined and no streaks of flour remain. Roll tablespoon (or slightly larger) size balls of dough and place on silpat or parchment lined baking sheets, 1 to 2 inches apart. Bake for 9-11 minutes and remove from pan to cool on wire racks. Repeat with remaining dough. *Veronica’s Notes: if using unsalted butter, increase salt in the recipe to 1 1/4 teaspoons. If your macadamia nuts are roasted and salted like mine, you might want to reduce the amount of salt. I omitted it completely since both my butter and nuts were salted. 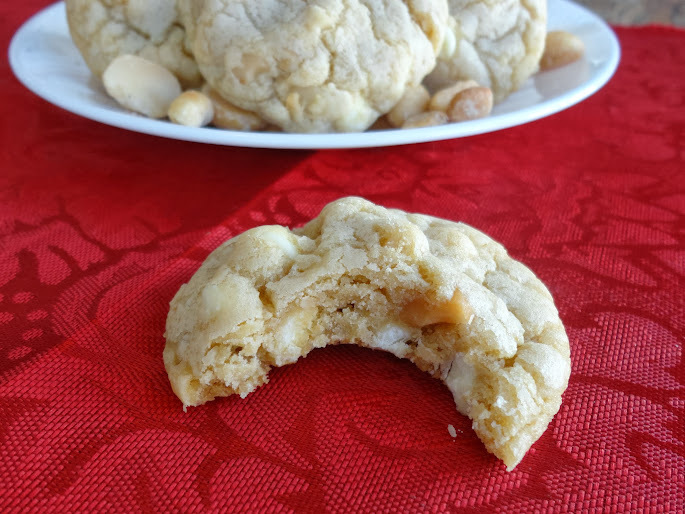 I added toasted coconut to half the batch (unphotographed because they were gone by the time I broke the camera out), and although they weren’t the classic white chocolate macadamia nut cookie, they were even better in their own class. I like both versions so I recommend you try half and half! 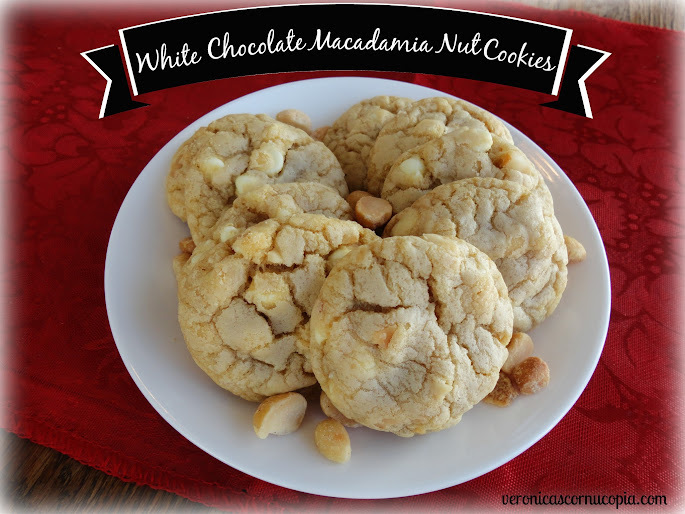 Posted in Cookies and tagged baking, best, perfect, recipe, toasted coconut, white chocolate macadamia nut cookies. Bookmark the permalink.